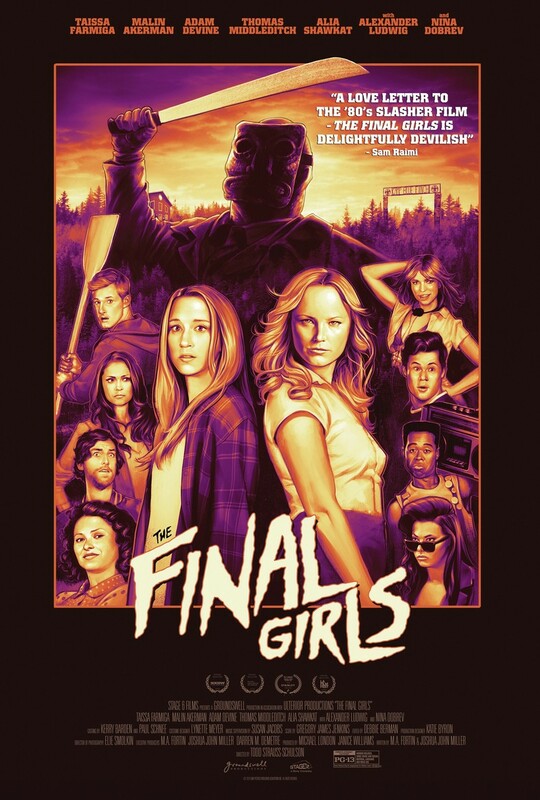 The Final Girls DVD and Blu-ray release date was set for November 3, 2015. Max and her friends hesitantly went to a tribute screening of a notorious 80s slasher film that starred Max's now deceased mother. When they start watching the flick, they're accidentally swept inside the screen. They soon figure out that they're stuck in the cult classic movie and have to team up with the fictional and doomed camp counselors, which includes Max's mom, to defeat the movie's masked killer. With the body count rising from scene to scene, it's uncertain who will remain and live to get out of this film.